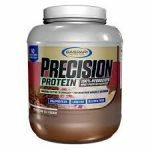 Take advantage of the super sale where the price for the GASPARI Precision Protein drops from $60 to $30 (4LB & all time best). The price on the Optimum Nutrition On Whey & Oats Protein (2.6lb) drop to $11.99 shipped at Amazon Prime. 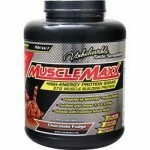 This Muscle Maxx High-Energy Protein Shake – 5LB, retail for $55. Now $27.98 at All Star Health.